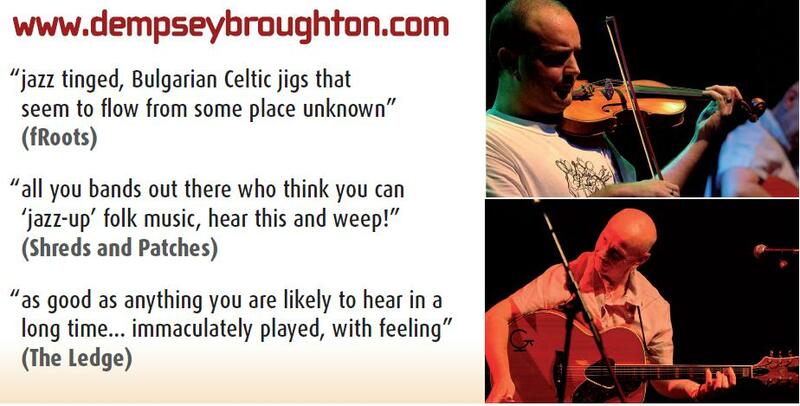 Kevin Dempsey and Joe Broughton, touring English Folk Duo, to headline on 20th November! 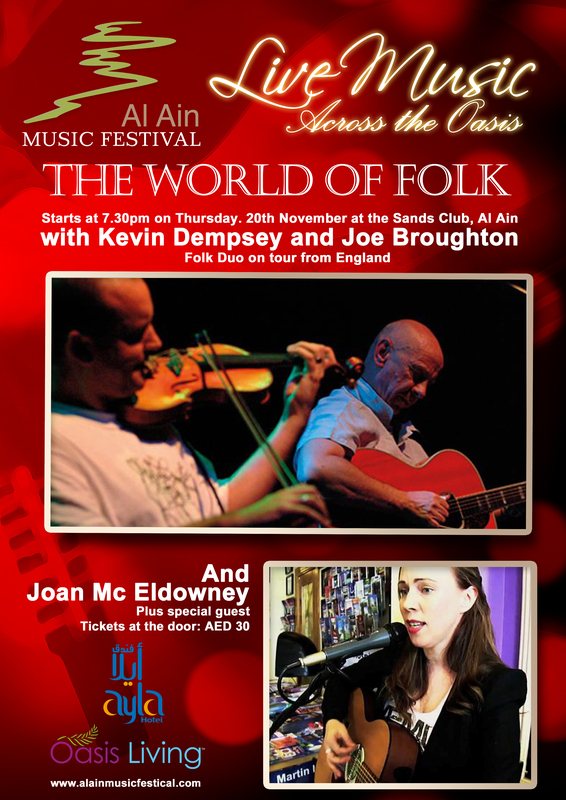 Kevin Dempsey and Joe Broughton are the Folk Duo at the inaugural AAMF 2014 “World of Folk Evening“ on Thursday, 20th November, at the Sands Club, Al Ain. 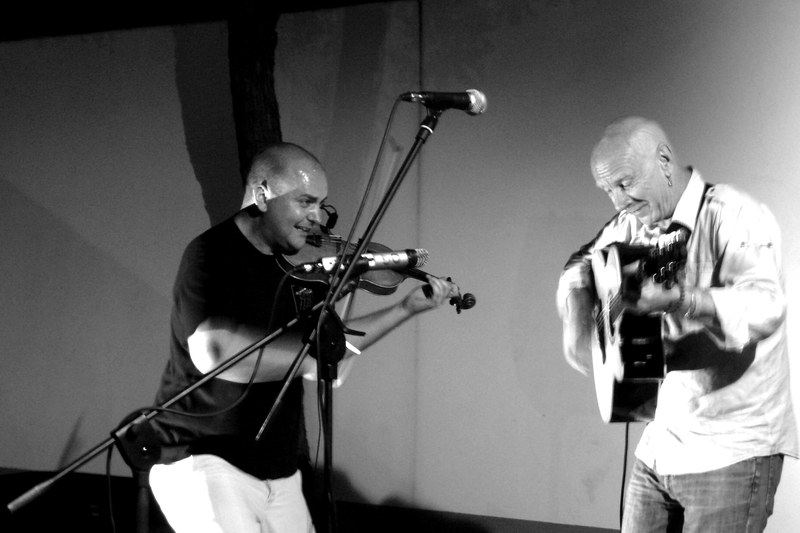 Since forming in 1999 this incredible duo have recorded three albums and toured extensively in over 20 countries round the world. Combining emotive songs, unrivalled instrumental capability and a spectacular high energy show, they never fail to create a spellbinding atmosphere. Their new album “Off By Heart” is being released this Autumn to coincide with their world tour. The list of musicians they have played with is impressive…Whippersnapper, Mary Black, Dando Shaft, The Albion Band, Dave Swarbrick, Percy Sledge, Uiscedwr, Lazarus….but it can’t prepare you for this unique partnership. To pigeon hole their style of music would be to do them a disservice. 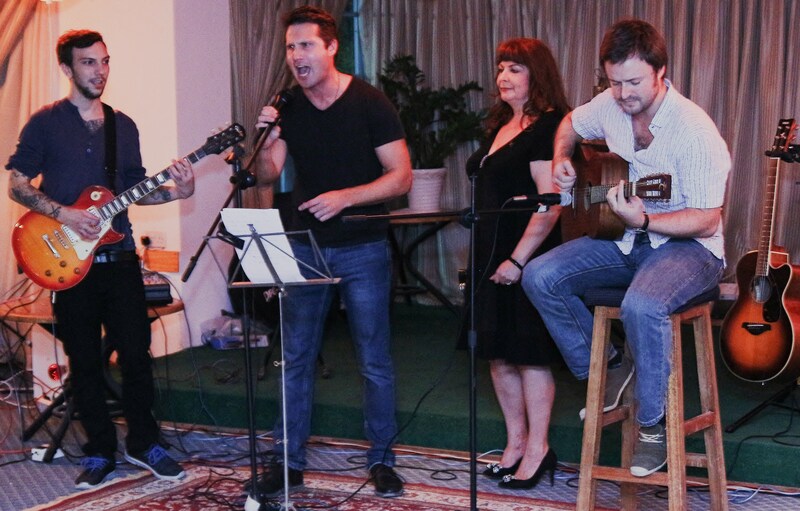 They draw on Folk music from all corners of the world but their experience in Jazz, Soul, Classical, Pop and Rock music takes the result into original and uncharted territory. 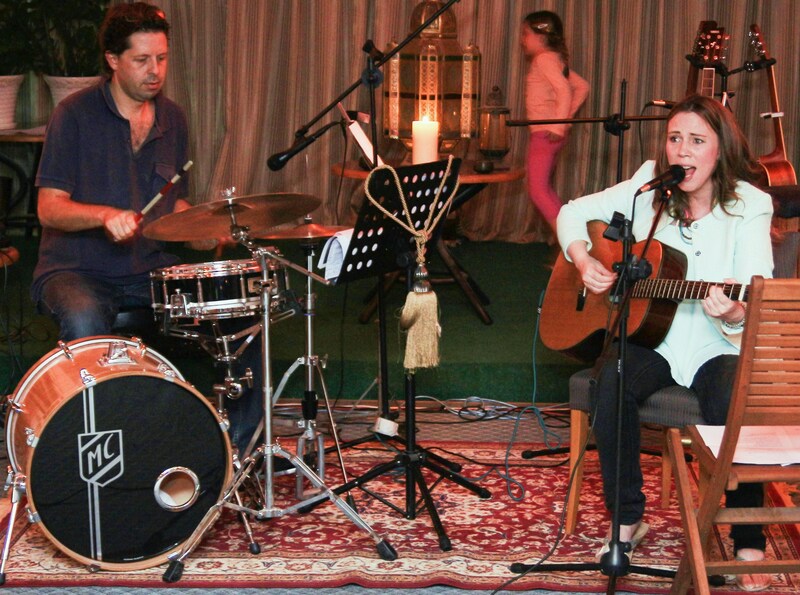 It is not only the originality of what this acoustic duo plays, but also the simple fact that they do it so well. 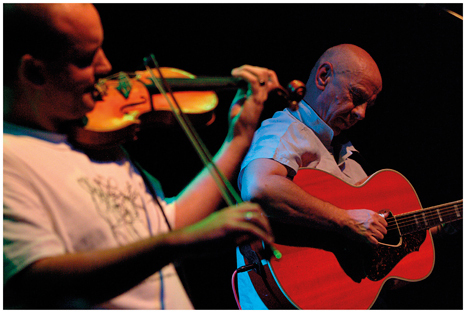 Kevin has a fantastic voice and is widely regarded as one of Europe’s greatest acoustic guitar players, whilst Joe is simply unmatched in the world of fiddle pyrotechnics. The Dempsey/Broughton show is playful and entertaining! Try to take it all in as they swoop from beautiful song to mind blowing tune via a stream of hilarious banter. Two hours with Kevin Dempsey and Joe Broughton can seem like 10 minutes. The duo will follow on from Joan McEldowney, guitar,supported by Mark Campbell, on percussion. And, the concert will be opened by our special guests, Mark Southan and Gabe Canazarro. These two acoustic guitarists will be making their debut. The first ever AAMF “World of Folk Evening” starts at 7:30 pm. on Thursday, 20th November. 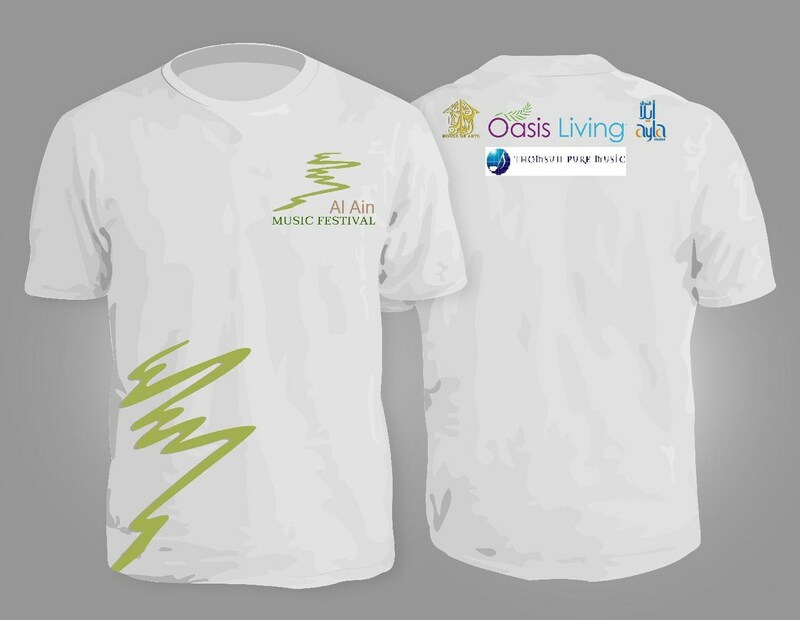 Tickets at the door are only AED. 30. Don’t miss out!